Spooked by burrs and microscopic particles in your metal components? Home » Blog » Spooked by burrs and microscopic particles in your metal components? Traditional metal machined components have burrs and microscopic particles that interfere with the efficient performance of the machinery. The best way to fix this is to have all your essential components go through the patented process of Extrude Hone AFM. Our abrasive flow machining process deburrs and polishes every surface of metal machined components down to the microscopic level. Even the hardest to reach, most intricate passageways will be finished and polished by our customized abrasive media. We customize the abrasiveness, viscosity, and other variables of a media slug to achieve precise intended results. The media is then forced through the workpiece through a hydraulic ram, thereby reaching every single area. Through this, the media becomes a flexible file or slug that molds itself perfectly to the shape of the metal component, surface finishing and polishing every millimeter of your metal component. The highest amount of material is removed whenever the media is restricted because the flow speed and pressure of the media increases in these areas, which facilitates a higher material removal rate. The media exerts pressure on all contacting surfaces, resulting in a uniform finish in all areas of the metal workpiece. At Extrude Hone AFM, we take our work very seriously, and always deliver impeccable results. You’ll be amazed by how well your metal components perform after undergoing our patented process. We carefully calibrate each application of the AFM process in order to achieve ideal results. We precisely control the media flow rate and pressure, volume, and type of media, media temperature, and thus, the amount of material that is removed. This process is carefully monitored to ensure repeatability, so whether you have one component or thousands, we can meet your needs well. Ready to request your free estimate? Now is the perfect time to contact us by calling (562) 531-2976 or by filling out this online contact form. We’d be happy to answer any questions you may have and give you thoughtful answers. 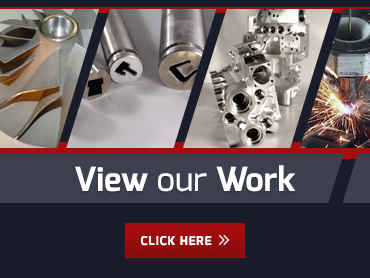 We’ll also customize our process to suit the unique needs of your metal machined components and get back to you with a custom estimate ASAP. Don’t be spooked by burrs and microscopic particles – contact Extrude Hone AFM today! Happy Halloween from all of us at Extrude Hone AFM.